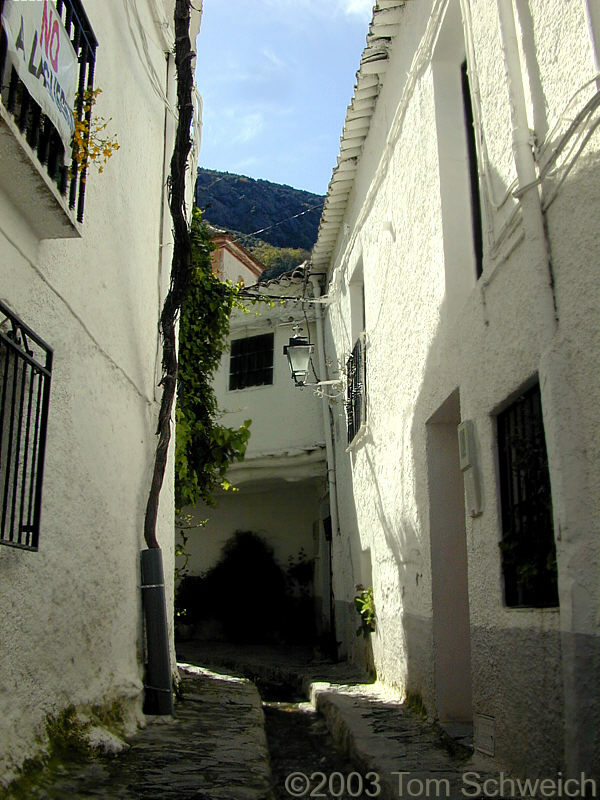 Photo: Small street in Pampaneira. Eastern Mojave Vegetation Small street in Pampaneira. Notice the grape vine growing up the left side of the street. It grows to a terrace on the third floor. Note also how the vine has been protected by a plastic pipe. We saw numerous examples of such grape vines growing out of walls and climbing three or four floors above.